What better way to explore your surroundings than on foot? 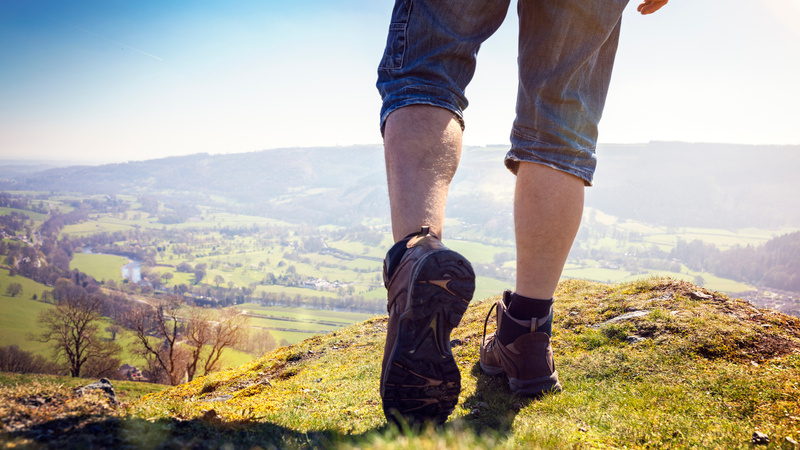 Discover the best walking opportunities in England with our useful walking guide. Find the most picturesque routes and enjoy the best of the scenery England has to offer. 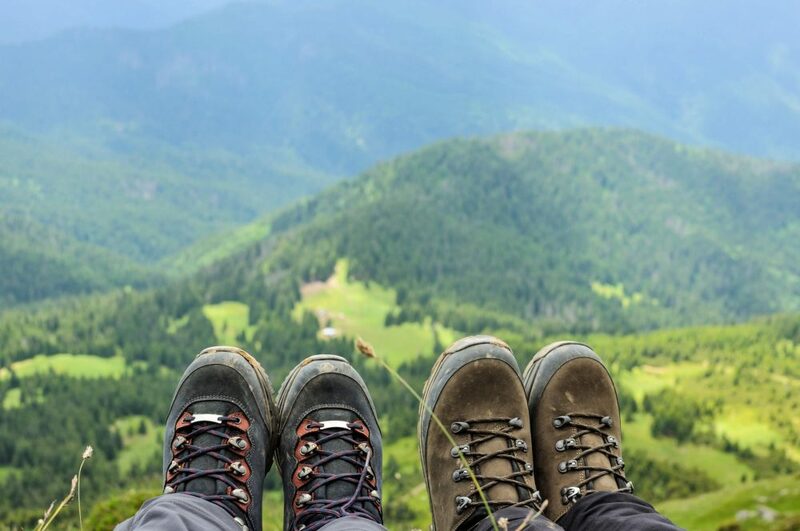 Whether you are looking for barren moors or dramatic peaks, rolling hills or boggy marshland, golden beaches or ancient forests, with 10 diverse National Parks and 30 Areas of Outstanding Natural Beauty, there are an array of scenic walks in England to suit every taste. Take a trip to the Peak District, one of the most evocative landscapes in the country, full of historic buildings, empty moors and dry-stone dykes. Climb Stanage Edge, a gritstone escarpment that’s highest point reaches 458 metres above sea level. Once at the top, relax and take advantage of the fantastic views over the moors and valleys below. Feel free to bring along any well-behaved four-legged friends, this is one of the many popular dog walks in England. The English coast varies dramatically from county to county, so whether you are looking for sandy stretches of beach, fascinating limestone cliffs, varied wildlife or historical treasures, you will definitely find the perfect coastal walk in England for you. Popular choices include the Lizard Peninsula in Cornwall, the Jurassic Coast in Dorset, Whitehaven in Cumbria and Lindisfarne and Holy Island in Northumberland. Mam Tor is one of the more famous routes in the Peak District and is popular with both hikers and cyclists. The 5-mile trail takes in the summit of the 517-metre-high Bronze Age hill, granting visitors a spectacular view of the surrounding scenery. 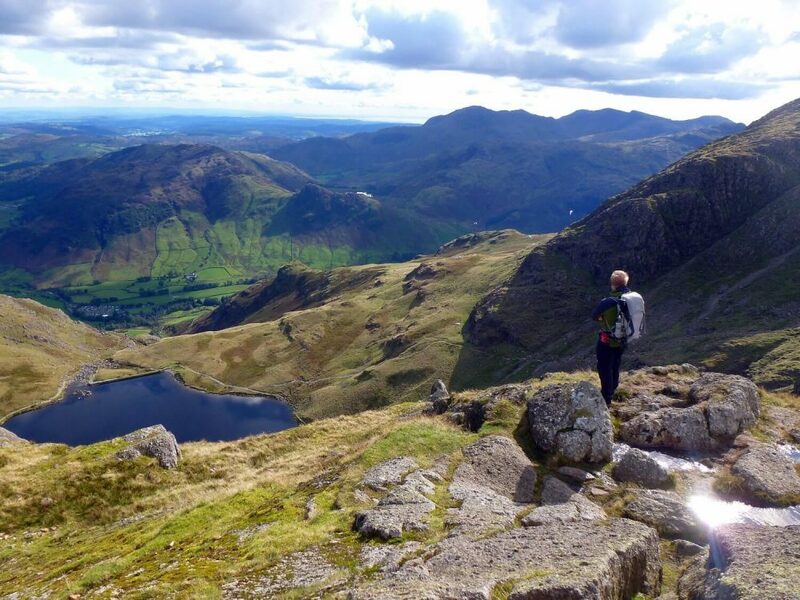 England’s highest mountain, Scafell Pike was donated to the National Trust in 1919 in memory of those who died in the First World War, to give the public the freedom to explore the mountains. 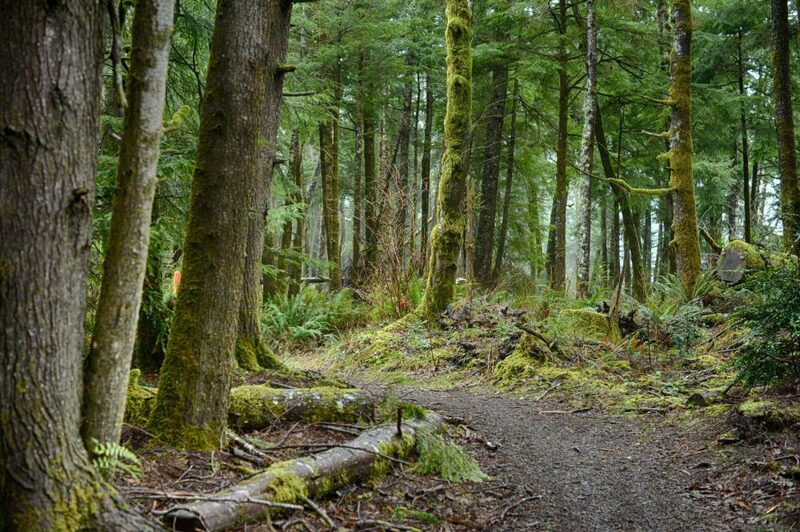 It is a difficult hike to the summit with many different routes available ranging from around 6.5 miles to 12. 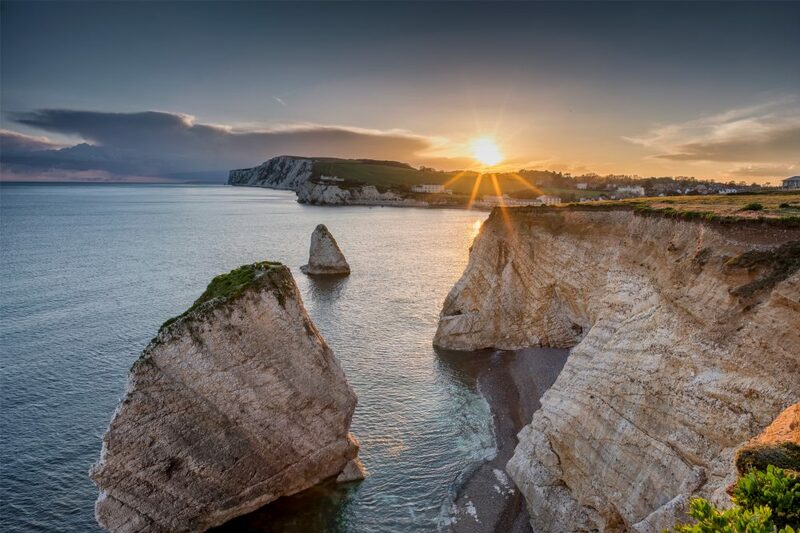 This stunning but challenging 14-mile route begins at the historic Carisbrooke Castle and weaves through the beautiful Brightstone Down and Forest, arriving at the coast to spectacular views over Freshwater Bay of the Needles. The last stretch follows the Coastal Path to Tennyson Down before finally reaching the stunning Alum Bay. One of the most popular walking challenges in the UK is Walking the Three Peaks, be it the National, Welsh or Yorkshire variety. 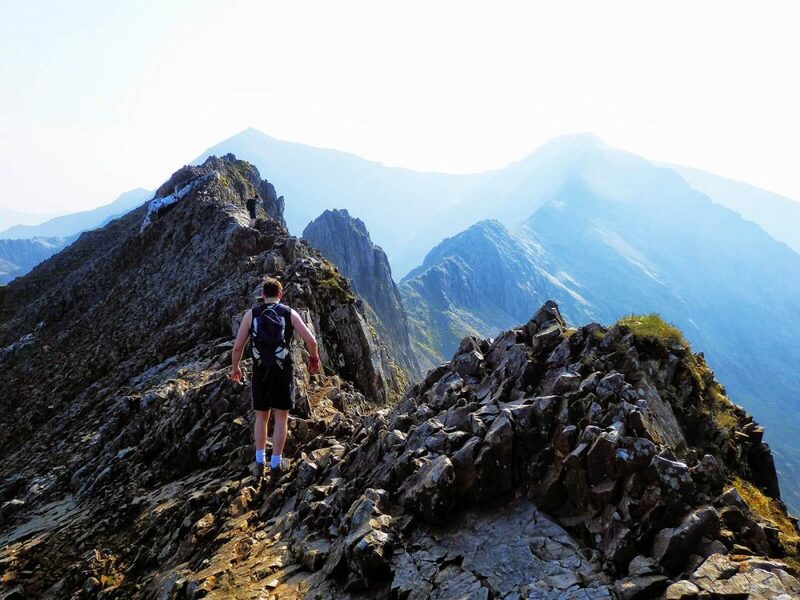 Walk Up the Three Peaks is a site dedicated to not only walking these challenges but to do so safely, responsibly and with full regard to both the natural environment and without disrupting the locals. The Winchcombe Way is a waymarked trail that weaves through the Cotswolds in a figure-of-eight formation. Stretching for 42 miles, the route encompasses some of the lesser-known beauty of the Cotswolds, from historical properties and sites to beautiful landscapes, as well as rare flora and fauna.